So this is a moisturiser I have sworn by for well over a year now, in fact I've used it so long I can't really remember what I used before this. I remember purchasing this when I was trying to establish a good skincare routine without having to part with too many pennies. I absolutely love everything about this moisturiser, from the way it makes my skin feel when I wake up in the morning to the gorgeous smell. It is advertised as an intensive moisturiser to be specifically used on flights however I ignored this and I simply use it every night as a night cream. It's the most hydrating moisturiser I have ever used so excellent for very dry skin like myself. I wouldn't recommend using this in the morning because I have made this mistake and it doesn't sink in fast at all hence why it is a night cream. I put my make-up over it and I felt as though my make-up just slipped off my skin as there was a layer in between. 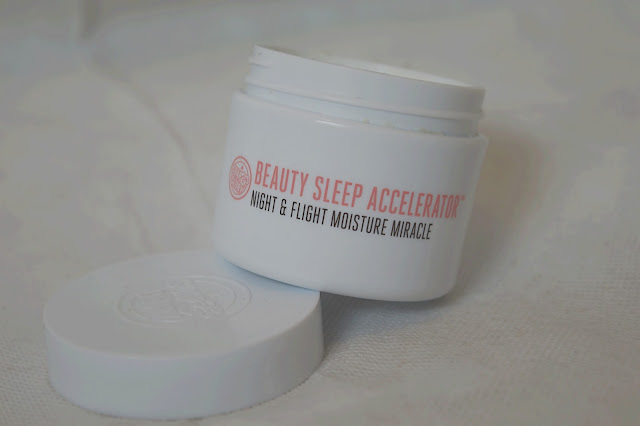 What I really like about this cream is that in the morning I wake up with not only hydrated skin but I feel like my skin has had a slight boost and look a lot more 'glowy' this would be because it has 'night blooming cactus flower' which apparently gives luminousity. Let's move on to the scent. It has rosehip and sweet almond oils aswell as peach and gojuice giving you the luscious smell. These are what makes it rich in antioxidants and gives you vitamins A & C. Bonus! All in all this is just a great moisturiser if I haven't already made that clear haha. I love it. I really don't have anything bad to say about it. It works for me! This sounds lovely, I also use a night cream by botanics. It is as refreshing as you describe this brand, I don't know why I haven't bought one before!